Happy New Year from all of us at Fields Family Dental! 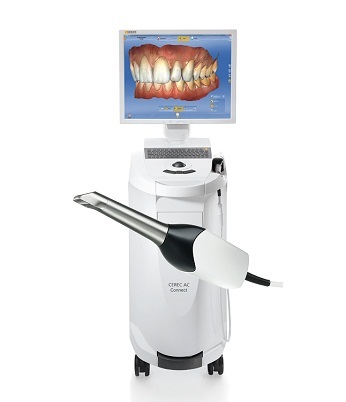 Our office has invested in a brand-new CEREC Omnicam, the latest camera scanning technology. The Omnicam is a small powder-free color camera that takes 3D images in natural color with pinpoint accuracy. The images are imported into a computer that makes a 3D model of your teeth surfaces that can be used to make crowns, bridges, night guards, Invisalign, partial dentures, veneers, inlays, and onlays. The CEREC also has a milling unit, you can leave with a completed crown in about 2 hours. Increased comfort: No more biting into gooey impression material or putty molds. Better treatment: Accurate 3D images can be created in minutes, no powder is required. More convenience: For most crowns, no need for temporary fittings and second appointments. Treatments can often be completed the same day.